It is possible to combine the twin goals of an unforgettable trip to Thailand and the opportunity to meet a prospective relationship partner from this dating site. TLL has created 150,000 relationships since it started eleven years ago. Our dating process works for both foreigners to Thailand and Thai men and women living in the Kingdom. Many foreigners have found love with Thai women on ThaiLoveLines. Our advice is that you should visit Thailand but not before you have met and formed friendships or even relationships online. However it may require that you decide which is your priority and consequently that you plan your trip carefully while allowing yourself some flexibility. The key is to make precise and disciplined travel plans. 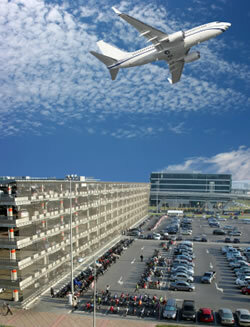 This may not seem romantic or idyllic but it is the key to making your trip effective. In fact discipline and paying attention to the wisdom of hundreds of thousands of users who have found Thai love online are essential to a successful trip that might just change your life for the better. Welcome to the power of Thai dating online. The first thing is to find a good airfare. Many airlines have now opened up travel routes to the east and particularly Bangkok's Subharnabhumi Airport which is a key hub for the South East Asia region. The success of Thailand as a transit hub for Southeast Asia continues with many new airlines opening routes to the country. In addition the increase in flights to Asia means that there are other secondary options if you are searching for the cheapest possible flight. Many people prefer the security and the extra service provided by booking their tickets through a travel agent but it is definitely cheaper to book your tickets online through specialist internet travel sites or directly with the airline itself. We recommend the latter approach. Many airlines now have very effective online services for booking flights which even allow you to alter your trip at short notice. The key decision is how long to make your trip? We strongly recommend that, if you do travel to Thailand, any trip for ThaiLoveLines dating site members should not be less than 21 days. The reason for this is simply jet lag. It takes 3-5 days to acclimatise if your travel route brings you a long way to Thailand particularly from the west. Many dating site members arrange to meet Thai members on the site from Bangkok on the first week of the trip while planning a trip to one or two of the regional centres on the second week. If possible it would vene better to allow for a 28 day visit or the maximum period allowed under a tourist visa to Thailand. Travel within Thailand is really convenient with a strong Thai internal airline system which has developed in recent years. Fares range from 1,000 to 2,000 baht. There is also a unique railway system in Thailand although this might be a little slow. When we say unique, we mean it is quaint and old fashioned. There are also bus and coach options linking main cities. You should research these online and make sure that the services include air conditioning. We also recommend that you plan your travel itinerary at least two months in advance. In this way you can book top class hotel accommodation through internet travel sites such as AsiaRooms.com or Agoda.com where super accommodation anywhere in Thailand can be had with a budget of $30 a night. One of the key considerations when you are traveling is access to the internet. One approach is to bring a laptop but you can also use your smartphone and buy a data package quite cheaply when you arrive in Thailand. Make sure your phone is open to being used by another network before you go. Any mobile phone shop at home will offer you advice on this. For laptop this you will need to check that your Thai hotels have internet access but wife is now available everywhere in Thailand with very good speeds. You will also need to be knowledgeable in setting up your laptop connection. You must also be careful to find out what the hotel charges as this service can often be as expensive as the room itself! A more old fashioned solution is to avail of the tens of thousands of internet cafes which you will find all over Thailand. You will surely find one within walking distance of your hotel if not within the hotel itself. Most of Thailand's internet cafes have hi-speed ASDL and many serve refreshments which can also be quite an enjoyable experience. ThaiLoveLines.com recommends that you identify a limited number of members on our dating site before you plan your trip. You can use the My Favourites facility on the website to do this. Do not be tempted to include too many meetings. You must be careful to show courtesy and consideration to other ThaiLoveLines members you will be meeting and allow some time to get to know them. 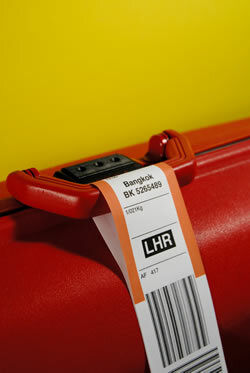 We recommend that you include not more than three destinations on your extended trip including Bangkok. (Above) NEW AIRPORT BANGKOK: The new International airport in Thailand is Subharnabhumi Airport located in the suburbs of Bangkok. The first step is to book your airfare with the growing number of airlines that fly to this key hub in South East Asia. (Below) INTERNET TRAVEL SITES: You can now book low cost airline tickets to Thailand and Thai hotel accommodation.